All the flavors of a traditional Chicken Parmesan and Pasta...with half the fuss! Toss together cooked pasta with marinara, then toss chicken and Parmesan cheese together in a separate bowl. 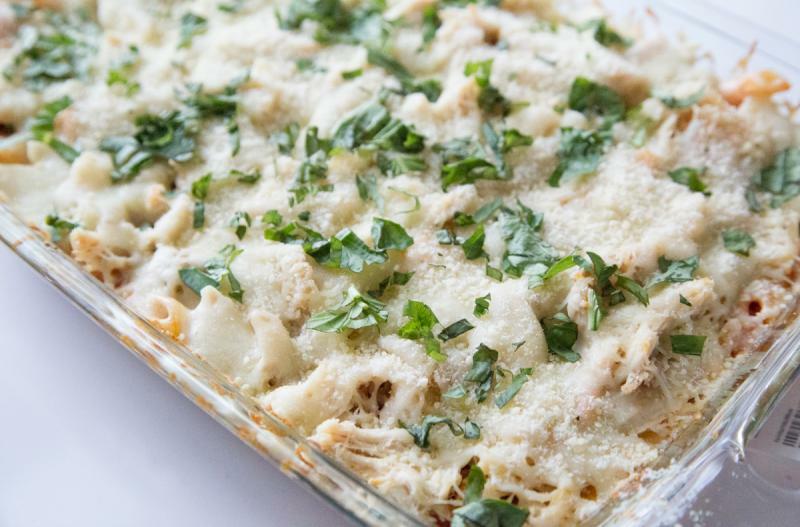 Finally, layer the pasta, chicken and some shredded cheese and you’ve got yourself a perfectly LAZY Chicken Parmesan & Pasta Bake! Cook the pasta, to al dente and drain. Return to pan and mix in the marinara/spaghetti sauce. Then pour the pasta and sauce into the prepared baking dish. In a small mixing bowl, toss the shredded chicken with the grated Parmesan cheese. Then add a layer of the chicken-Parmesan mixture on top of the pasta. Then cover with the shredded mozzarella cheese. Bake in the preheated oven for 25 to 30 minutes, or until cheese has melted on top. Garnish with more grated Parmesan cheese and fresh chopped basil. 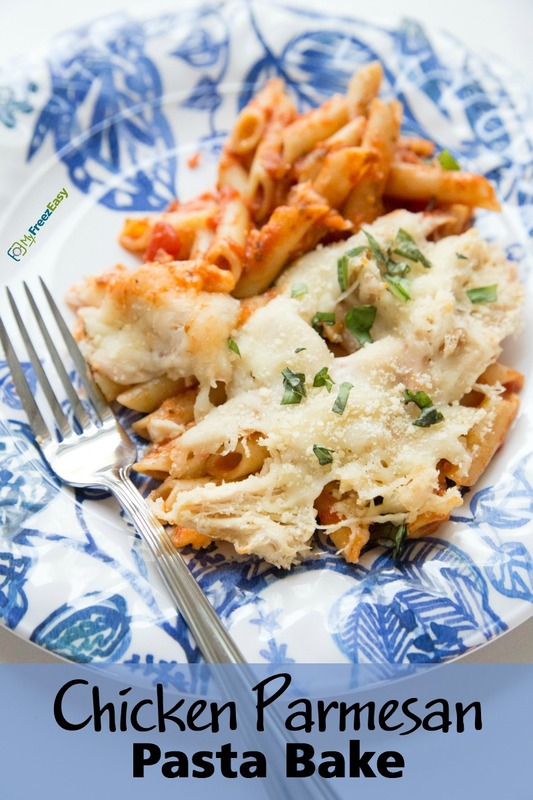 Serve Lazy Chicken Parmesan & Pasta Bake with salad. Cook 2 boxes of pasta, al dente - about 8 minutes. Drain the pasta and add to large mixing bowl. Toss with 2 jars of marinara sauce. In a small mixing bowl, toss 4 cups shredded chicken with 2 cups grated Parmesan cheese. Recipe is gluten-free when you use small shell gluten-free pasta. Thaw, keep covered and bake at 350 F for 20 minutes, then uncover and bake another 10 minutes.